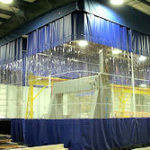 AKON’s custom made industrial mezzanine curtains are a great choice if you want to create a safe working environment. These curtains are exceptionally useful in facilities with high ceilings such as warehouses or large factories. You are free to choose a custom layout, the materials, colors, applications, and more. Our industrial mezzanine curtains will keep dust, moisture, and other nuisances at bay. What we offer is a great, short or long-term protection solution with affordable prices. If necessary, you can deconstruct and move them to a different location. Industrial mezzanine structures often suffer from dust. Numerous issues could occur from it. Dust buildup can create a dangerous working environment for employees. Irritations to the skin, eyes, or the respiratory system are possible issues. A dusty floor might cause people to slip. Allergies are also possible. Dust buildup can also damage the equipment. Your machines might work less effectively and maintenance costs will rise significantly. A less common, but dangerous scenario would be the combustive dust explosion. Should it happen, there could be dire consequences. Keep everything tidy and safe by preparing in advance. Temperature control could be expensive during summers or winters. Allowing the area to become too hot or cold might be dangerous for the health of your employees or cause damage to your equipment. Air conditioning is a solution, but it alone is often not enough. It is not an energy efficient solution, as costs will skyrocket if you want to heat up or cool down the entire building. By setting up a curtain around your mezzanine, the temperatures will remain stable and thus keep the employees, equipment, and products safe. The curtains also allow for airflow from the outside. With AKON’s industrial mezzanine curtains, you will be able to easily hide unsightly equipment for storage. Keep anyone on the outside from interfering. Easily store equipment and materials and thus create a tidy working space. Separate the mezzanine into different, smaller areas. The curtains will also help in keeping a comfortable working environment by blocking outside noise. The lack of noise will make it easy for employees to concentrate. Humidity control is of vital importance for different industrial complexes. Sometimes, you need to keep the air as dry as possible to avoid equipment damage. Sometimes, you need a higher level of air humidity which is important for keeping specific food products fresh. No matter the reason, our curtains will ensure moisture does not enter or leave the area. Moisture could be dangerous for your equipment, so the working environment must remain dry at all times. Our industrial mezzanine curtains will keep the facility cleaner, and ensure air pollution does not infiltrate the mezzanine. 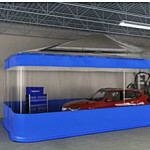 The industrial mezzanine curtains are custom made after your specifications. Clicking on the quote form will help you choose a layout, color, material, special application, size, and more. The curtains are a great solution if you need to set up a wall quickly or to close of space above an office in your warehouse. You can easily move and re-purpose them in other areas or facilities. You will be able to easily divide different areas and create a safe working environment for all. These curtains are less costly than rigid walls, durable, and require few maintenance efforts. The Industrial mezzanine curtains are also ideal for separating workers for welding, washing, packaging, and other operations. One great benefit to our curtains would be their ease of use. You can set up and utilize them for almost any facility regardless of building height or width. We can also offer you different accessories such as clear vision panels for better visibility, valances for seal the empty space above the curtain, sweeps to seal off the empty floor space, anchor straps to hold the curtains stable, chain weights, Velcro, and others. onto your curtain and can be installed in the field. temperature applications or high-frequency use. to each other or adjacent steel walls and beams. How hard is it to install the industrial curtain track? One challenge every business face is the maximizing of space available to them. This is as a result of either to cope with an increase in business or to accommodate a new production line of the business. Therefore businesses demand an effective solutions to provide them with the required chunk of space needed for that increase in their facility. Before now, business has been plunged to know just one solution for space maximization, which is a conventional extension and expansion development. However, we will be reviewing the disadvantages of extension and introducing a cost-effective solution from AKON. This alternative solution will overcome challenges related to traditional partitioning methods. Change is constant and every business that grows needs to adapt in terms of the business. Using the traditional expansion as a solution for maximizing space is sometimes a problem when there is a new production line and there is need to adjust the facility to accommodate this new production. Time they say is money. The conventional extension takes time to prepare especially when the size and scale of the expansion are huge. Building this extension will take a couple of months, which is not good for the business if time is considered and space is needed on time. A conventional expansion is expensive to build and when it takes time to get ready, it demands more finance. If the budget for expansion is low and has to be strictly adhered to then the traditional expansion is the wrong solution for maximizing space in any business facility. Now let us introduce you to a new solution that is not just cost-effective but can adjust to your new production line in your facility. The installation process is fast and takes less time to start running, unlike a typical rigid wall extension which consumes time and finance. The installation of a new production curtain and divider has little or no effect on other processes as they can work efficiently as a new curtain and divider is installed. 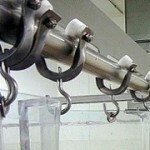 The installation of a this device normally takes hours or sometimes a few days depending on the size and number of curtains needed in the facility. Compare this to the weeks and months of building a conventional rigid wall extension. 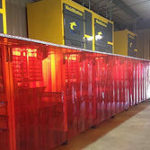 AKON makes use of reinforced PVC material in manufacturing the production curtain and dividers, making it cost-effective and adaptive to a new process. It is unmatched with the traditional partitioning methods which are far more expensive to build. Unlike the traditional curtain partitions, the curtains demand less floor space to support the structure, thereby increasing floor space and maximizing space. AKON production expansion curtains are lightweight and suspended from the ceiling. They can also be free-standing on pedestals if there are overhead obstructions. When used as assembly line curtains they can feature strip door entrances to allow for rapid access. One of the major benefits of a factory production curtain is that whilst they are permanent, they can also be moved or relocated to a new process and will adapt without causing any contamination. Its portability makes it flexible for business should the need of business change further, they can adapt to the new developments without major disturbance to manufacturing processes. Specific sectors require certain industrial curtain partitioning that can be produced to suit certain situations. Materials used for such sectors should have various properties that should be beneficial and will not cause contamination in sectors such as anti-fungal, food safety, flame resistant thermal and anti-static etc. Need an Installer For Your Industrial Curtains? If you are purchasing a curtain from AKON then you might also be making considerations about installation. This guide will help you make an informed decision on whether to install your own curtain or to have AKON provide you with an installer or installer distributor for a turnkey solution. It is actually very common for our customers to perform their own installations. In fact, installing curtains seems more daunting than it actually is. Most curtain installations are unobstructed from the ceiling down making them very easy to install. We would estimate that 95% of all of our curtain systems are installed by the customer themselves whom either do the installation themselves or who source a local general contractor or handyman. If you’re curtain system includes curtain track which allows you to roll the curtains from side to side then you can simply view our installation directions. These detailed directions include just about everything you need to know for you to install the industrial curtain kits. These curtain tracks are a very simple bolt together design making them quick installs. If you have a fairly large curtain system ($5,000-$80,000 ) then you can purchase the curtain system directly from Akon and we can put you in contact with one of our national installers. With this option, your Akon representative would work closely with you to give you guidelines on how to measure for your curtain and discuss hardware mounting options in detail. We find that hardware selection is about 90% of decision making process for industrial curtain systems. As such, we might ask you to email us some digital pictures of your roof deck where you plan to hang the curtains so that we can choose the proper hardware for your project. After we have determined the correct components for your application, we would then provide you with a detailed quote. After you have reviewed your quote, we would then put you in contact with one of our national installers who you would work directly with to coordinate the installation once the materials have arrived on-site. If you choose this option please ask your Akon sales representatives for a local installer in your area. 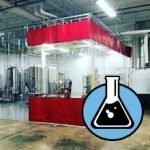 If you have a fairly large curtain system ($2,000-$80,000 ) then you can purchase your curtain system from a local AKON distributor/installer. They will do a site visit before your order is placed to measure and discuss your installation options with you. While this option is going to be more expensive due to the turnkey solution, (about 20% more) we find that some of our customers are extremely busy and can’t be bothered with any downtime or any unforeseen issues. If you choose this option please ask your Akon sales representatives for a local distributor/installer in your area. For more information on how we can help you set up the right industrial curtains for your business and a free quote, don’t hesitate to contact us today. When you are running a business, protecting your employees from potentially hazardous activities shouldn’t be your only concern. You should also pay more attention to how safe their working environment is and what you can do to improve it. Because of these issues, the Occupational Safety and Health Administration, or OHSA, issued guidelines on how you can prevent fire damages and other hazards. If your industry requires mixing of paints, pharmaceutical substances and other similar chemicals, using barriers that can contain spills, splashes and vapors is necessary. This will help ensure that the safety of the people working with these substances won’t be compromised and that the expected chemical reactions will be achieved. Flexible chemical curtains makes a great choice for this type of working environment. It is easy to install, versatile and resistant to both fire and chemicals. UV rays can compromise a person’s health in a number of ways. This makes the ultraviolet rays emitted during welding highly dangerous to anyone, especially if there’s not enough protection. Direct exposure, showering of molten metal as well as the chips of slag can easily get into your workers’ eyes. In addition to these hazards, UV rays can also cause fading and staining of clothes. It can potentially cause fire, too. 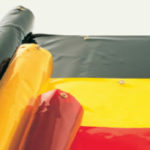 Welding curtains can ensure that all of your workers and vistors remain safe. Barriers and shields are essential when cutting metals. During the process, debris and minute particles of the metals can easily get dislodged and cast off. Some of them, like fiberglass, can even cause skin irritation. Containing these particles and making sure they don’t get mixed with the surrounding air is one good way to prevent injuries. 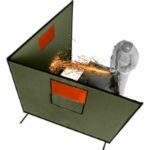 Portable welding screens make one of the best options when it comes to addressing these concerns. They can limit the damages associated with UV lights as well as create a physical barrier to contain sparks and debris. Translucent PVC screens provide supervisors and instructors a clear view of their workers’ tasks and environment. They are portable and flexible, which make them fit for jobs that require constant change in site and environment. They are durable and can resist chemicals and high temperatures. They can prevent the spread of contaminants, oils and lubricants which are considered as hazards for slip and fall. 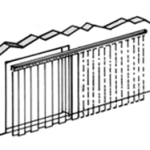 PVC screens can also serve as barriers to prevent corrosion and wearing off of materials. They help industries and businesses adhere to OHSA requirements. To know more about flexible PVC screens and how they can make a difference in your business, contact us today. Our screens come in a wide range of shades, sizes and properties that can meet your business’ specific needs. Your industrial curtain’s color is more than just for appeal. Apart from enhancing the way your facility looks, it can also help ensure the efficiency of your areas as well as your employees by promoting a safer work environment. If you are new to installing industrial curtains or you simply want to upgrade your existing curtains, here are three of the essential things you need to consider. There are a handful of reasons why you might want to set up a few industrial curtains in your facility. If you are looking for something that can keep your production process out of view, your best options are curtains that have a single opaque color. Take, for example, those in the automotive industry. You can find them commonly using white for their curtains. 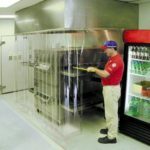 In case you are looking for protection but still want to maintain a clear view of what goes around in your facility, you can install transparent curtains. You can find this type of curtain frequently used on antique car shows. 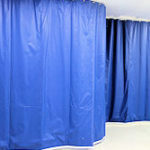 For those in the health care industry, they commonly invest on curtains that are blue and white in color. These two colors allow dirt and grime to be easily seen and, eventually, cleaned. Each company has its own set of standards when it comes to color-coding hazardous and non-hazardous areas. Before you order your industrial curtains, it’s a good idea to be clear about what colors you use to avoid confusion. For those in the welding industry, the color of their industrial curtains counts a lot, especially since they relate to UV radiation absorption. Orange and red, for example, are more likely to reflect light which make them more suitable for medium welding applications. If you are into photography and X-ray, black is the most suitable color for your industry as it can absorb almost all lights. 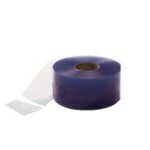 As for one of the most durable ones, Opaque Blue Vinyl Steel-Scrim is a great choice. Green, on the other hand, can block almost all UV lights while maintaining very little visibility. This color is an excellent choice for those who do plasma cutting and laser welding. 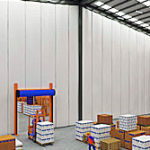 If high eye protection is what you are looking for, you can invest in blue industrial curtains. This option isn’t that vital to the productivity and efficiency of your facility. However, to add appeal, you might want to consider the design of your industrial curtains. Apart from choosing the color, you can also add your company’s logo. You can also choose to have your curtains in a patterned or solid color, especially if you are working with non-color specific areas. When you set out to order industrial curtains, you need to consider these 4 important features and styles of the curtains. 1. Do not order curtains from overseas suppliers who set up American websites. You will find that there are many suppliers online who look like they are American based companies when, in fact, their websites are only hosted here in the states. You want to buy your industrial curtains from an American supplier who can be reached by phone and who will help you with any installation questions or worst case, returns. 2. Know your measurements before you call us. Please make sure that you have all of the proper dimensions, or at the very least, a rough idea of the dimensions that you need. This will help us provide you with a budget cost of what you are looking for. Also, make a note of how many curtains sides you require. Tell us everything you can about what debris, chemicals, dust, liquids, etc. that will come into contact with the curtains. This might not seem important, but some materials simply will not hold up if they come into contact with corrosive elements or abrasive debris. We can suggest the right type of material if we know what kind of environment the industrial curtains will be used in. 4. Will these wash down curtains be used in a power washing application? If so, then it might be a good idea to equip the industrial curtains with stainless steel mounting hardware which will resist corrosion and decay. Another important consideration with mounting hardware for wash down industrial curtains is the collection of debris in the hardware. When power washing, a lot of debris can be thrown into the air and that debris can collect in the mounting hardware. This can then result in bacteria growing and causing health issues, especially in food wash down applications. We have a solution for this; just let us know that the curtains will be used for wash down applications. Just so you know, the industrial curtain can hold airborne contaminants which are spontaneous in production facilities. They shielding production lines from cross contamination which improves the working condition of a facility. By using the Akon line of industrial sliding curtains, you can effectively separate and partition off your work areas. These curtains will allow you to keep your assembly processes and other work functions divided from one another. This will increase productivity and safety for your associates. 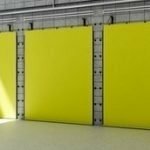 Why would you want to install a sliding curtain for your industrial application? Have you ever walked visitors through your facility and thought to yourself, “They must think this place is a total mess!” Many business owners and managers have this issue. The problem is that work areas spill into other work areas and soon it’s impossible to tell where one process starts and another one ends. By installing the slider curtains at each of your industrial work area, you can quickly regain efficiencies and make for a more aesthetically appealing work environment. You will find that the curtains can effectively customize your workspaces and greatly improve the look of your business. 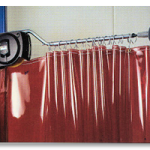 Chemical splash curtains are specifically designed to withstand corrosive chemicals and acids. Aside from providing protection to your property and employees, you can also customize these curtains to meet your project’s demands and needs. They can be fitted for indoor and outdoor purposes. Chemical safety curtains aren’t just about having protection against chemicals. They also have the following benefits. All our curtains are custom-made to ensure you get the perfect fit around the area which has the hazardous chemicals. Ideally, you should have your chemical splash curtains at around 30-40’ in width for easier installation. If you need to cover a wider space, you can simply install multiple curtains and connect them with Velcro strips or magnets. Our curtains have a maximum height of 60’. In case of height issues, you can purchase valance panels to preserve your facility’s ceiling and to eliminate the additional cost of renovating the top half area of your structure. You can choose between strip curtain doors, walls, replacement strips, and more. 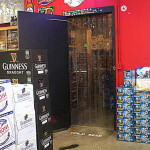 The strip curtain doors offer unique benefits. You can quickly enter or leave a room without the need to open or close anything. They provide chemical splash protection without hindering the movement of people or materials. The chemical resistant strip curtain walls are perfect for dividing and organizing different manufacturing processes. You can stretch them for long distances. You have rich a choice when it comes to shapes, colors, sizes, and designs. There is a solution if you already have the hardware. 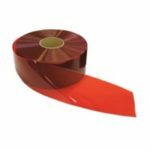 Our quick ship pre-punched PVC strips will do the job. 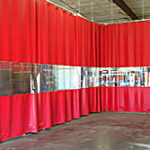 The most commonly used industrial splash curtains are heavy duty vinyl coated polyester fabric. 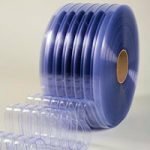 Vinyl is the common name for PVC. Both are, in fact, the same material. The 18 oz. Material is either PVC Coated Polyester or PVC Laminated Polyester. Their exterior seams are made from rot-resistant nylon thread while their interior seams are heat welded to ensure that the curtains are sealed against air and liquid. The hems are chain-weighted using heavy duty galvanized chains so that the chemical splash curtains are stable enough to withstand draft. There are roller hooks so you can slide and retract the curtains on the track. Which Chemicals are the Curtains Rated For? Vinyl which is also known as PVC is a highly resistant material to most chemicals. That is why our chemical resistant industrial curtains are made from this versatile material. You can view a list of tested chemicals on this PDF Specification Sheet. What if I don't see the chemicals I use on the sheet? There are many variables to consider with chemical exposure, such as what chemical it is, its concentration, what form it is in, and how likely it is to come into direct contact with your industrial curtain. If you don't see the particular chemical that you are using on the above links then please ask Akon to send you a sample of the material that you can then expose to the chemical in the field to test how it reacts to the exposure. Just click the yellow button below to build the curtain online. We will then send you a detailed quote. If the quote is within your budget and meets your needs, then simply ask us to mail you a sample. If you have a slight breeze or are power washing near the curtain then we can add a galvanized 3/16" chain weight to the bottom of the curtain. Velcro straps hold your curtain in place if wind is present or a more secure curtain is required. These anchors feature Velcro straps which loop through a D-ring which is anchored into the cement floor. Typically spaced every 4'. A floor sweep seals the open area between the curtain and the floor. It attaches to the main curtain by Velcro. They are 6″ tall and as long as the entire length of the curtain. These are ideal for controlling dust, fumes, odors and other undesirable elements. They can also be replaced in the future should the friction from the floor wear them out. 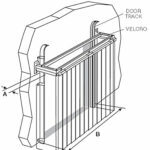 Seal magnets are an idea to attach curtains to each other or adjacent steel walls and beams. Best utilized in dusty areas that would clog up Velcro. You can choose to have Velcro installed along the perimeter of the divider which will allow you to combine multiple curtains into one larger curtain. You can also attach self adhesive Velcro to fixed objects such as walls for a more complete seal. Great for dust control and temperature control. A valance is made from the same material as your curtain. They are used to seal the opening above the curtain. This is generally the space from the roof deck to the bottom of the joist or purlin. They can be rectangular or follow the slope of the roof. Strip doors can be sewn into the curtain or free-standing for larger versions. These allows quick movement of people and forklifts into and out of the industrial curtains. Measure the distance that you are trying to cover. be the same as the actual width you are trying to cover. bottom of the track to the top of the curtain. Can we field cut the track for a perfect fit? Yes the track is made to be field cut on site using a hack saw or sawzall. You can use our line of industrial flame retardant curtains which are ideal for dividing up your work areas. They can be used to create a safer work environment and are expertly engineered with easy gliding tracks which allow them to be rolled out of the way when not in use. They conserve space, increase productivity and create privacy wherever they are installed. They also maximize your usable floor space by allowing different activities and processes to take place near each other. 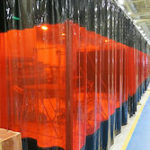 Fire retardant industrial curtains are also designed to meet fire codes from building inspectors. We even offer ASTM E84 Class A curtains upon request. Specific AKON industrial flame and fire retardant curtain fabrics have passed the NFPA 701 test successfully and are certified as Fire Retardant. What is NFPA 701? NFPA (National Fire Protection Association) has developed various standards to certify fabrics that are used in public access buildings including schools, churches, industries, theatres as fire retardant. It is necessary to use only NFPA certified products as nearly all states and municipals have made it compulsory to use only fire retardant textiles in public structures. NFPA 701 is the standard specifically reserved for curtains and other similar hanging fabric. The industrial flame and fire retardant curtains from AKON conforms to the above standards and are fully certified having passed the NFPA 701 test. Contact AKON today to get NFPA 701 test certified industrial flame and fire retarded curtains without any delay. With AKON curtains you never will have to worry about the fine your company would face by using standard curtains at your facilities. If you are still not sure how to pick the best curtain according to your requirements, remember that AKON also provides custom made curtains to meet different needs. 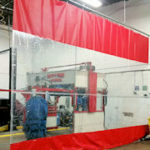 Get more information about our vast industrial curtain range, or ask for a free no obligation quote now. You can also call AKON customer care staff on the company number and we will help you pick the best product for you respecting your budget constraints. Industrial PVC Strip Curtains are used where entry and exit for people and motor traffic is needed with no need to push to the side. 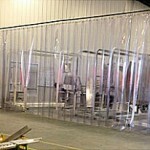 These industrial PVC curtains are great for dust control, visual control, or dividing work areas. They are the most common PVC curtain. 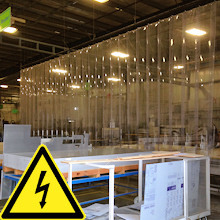 Providing the same UV protection as the curtain walls, the welding strip curtains allow welders to walk through them. These PVC curtains are designed to withstand corrosive chemicals & acids. Protects people and products during wash downs. Outdoor PVC curtains are made to keep the weather out and your work areas warm. They are made for harsh environments. Dividing your welding processes with the use of PVC welding divider curtains will protect your operators from sparks and harmful UV light. When you need to reconfigure your welding cells quickly then you need PVC portable welding curtains. They can quickly be moved out of the way. AKON provides various types of PVC curtains designed for industrial applications. 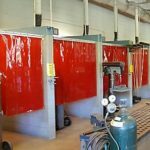 PVC material allows for fabrication of lightweight and extremely robust curtains that can come in any color size and shape. You can also have clear PVC curtains to increase visibility during movement. The strip PVC curtains are ideal for pathways that experience high speed traffic. These industrial PVC curtains are ideal for large and small areas where there is relatively light traffic. Simply roll the flexible curtains to the left or right to gain access to the other side. These curtains can be clear, tinted, green, blue, black, red, orange… and many more colors. The steel hardware consists of industrial curtain track made of galvanized steel. The Heavy Duty PVC curtains are an ideal solution for rapid deployment and inexpensive alternative to fixed walls. Most common in doorways and ideal for frequent traffic these PVC industrial strip curtains are static in position. 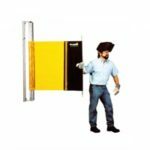 The clear PVC curtain flaps can be walked through or driven through with a forklift. The ability to move through them without opening them makes them an ideal solution for high traffic areas. As described above these curtains are made from heavy duty PVC curtains. Each strip or flap is a thick plastic and generally is clear. Clear is the most common and the safest for a door as it allows the operator of a forklift to see if the other-side is clear. Tinted strips or opaque PVC door curtains would not allow this line of sight and might result in injury to the person on the other side. These PVC door curtains come as kits with hardware and pre-cut flaps. As described above these curtains are made from heavy duty PVC curtains. Each strip or flap is a thick plastic and generally is clear. Clear is the most common and the safest as it allows the operator of a forklift to see if the other side is clear. Tinted strips or opaque PVC would not allow this line of sight and might result in injury to the person on the other side. These PVC door curtains come as kits with hardware and pre-cut flaps.